It’s winter here in the desert and that means that this is the best time to go out in nature, marvel the desert plants, be careful around them not to prick yourself with their needles. After an outing in the nature I often feel inspired to try to create and capture the scenery. I am yet to attempt quilting; but mini quilts are different. The best part is that you don’t need much to make something small. 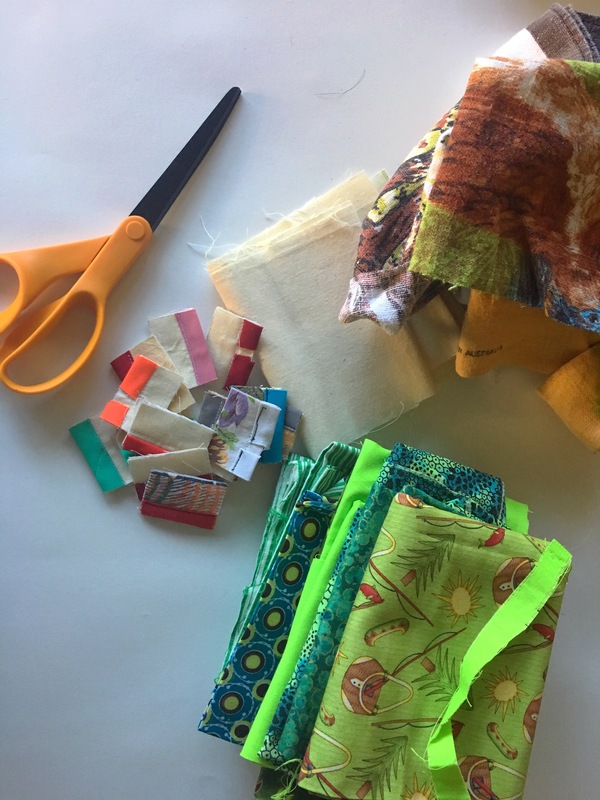 If you have some (any) fabric on hand, you can rake through and find adequate colors to use in whatever you are making. 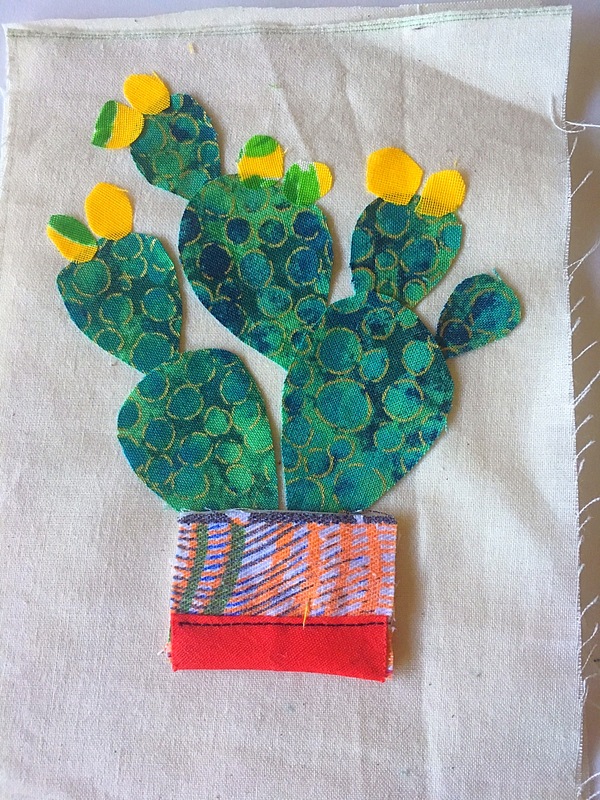 Cut your fabric into shapes of cacti and succulents. Arrange them on a piece of fabric that will serve as your background (I used muslin) and use a little bit of glue (glue stick) to keep them in place. I used contrasting thread for better texture and more attractive visual appearance. 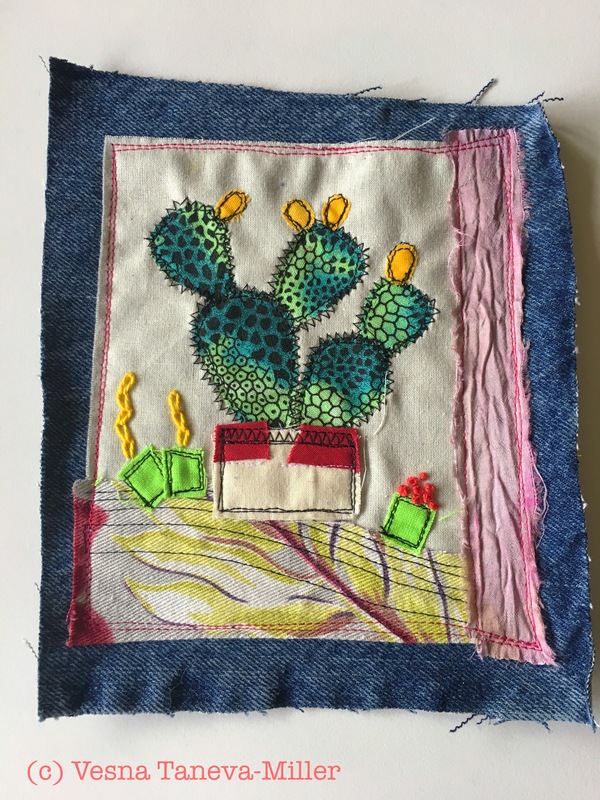 And once I was done stitching, embellishing, adding more scraps to the scene, I stitched the entire piece of muslin on to a pice of denim that came from a pair of jeans. 1. 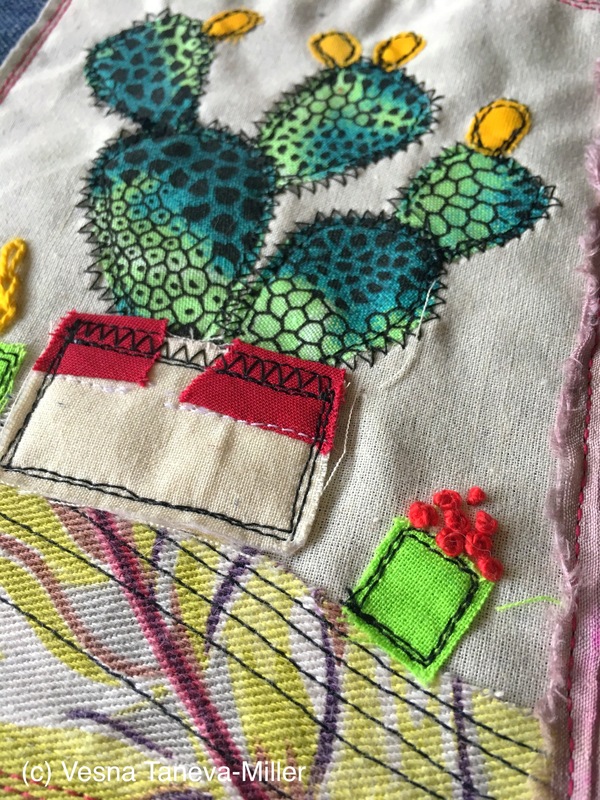 Stitch them on a pillow case to go on your favorite reading chair or your couch. 2. Use them as a page in your journal. 3. Add more hand stitches. 4. Add stamps, words, bugs, butterflies, birds. 5. Use them to embellish a purse. 6. Make more of your own and create a real big quilt. 7. Frame them and hang them on your wall. 8. Edge them with bias tape and hang them on your wall. 9. Make a table runner. 10. Make a banner and hang around a fireplace, window, wall. 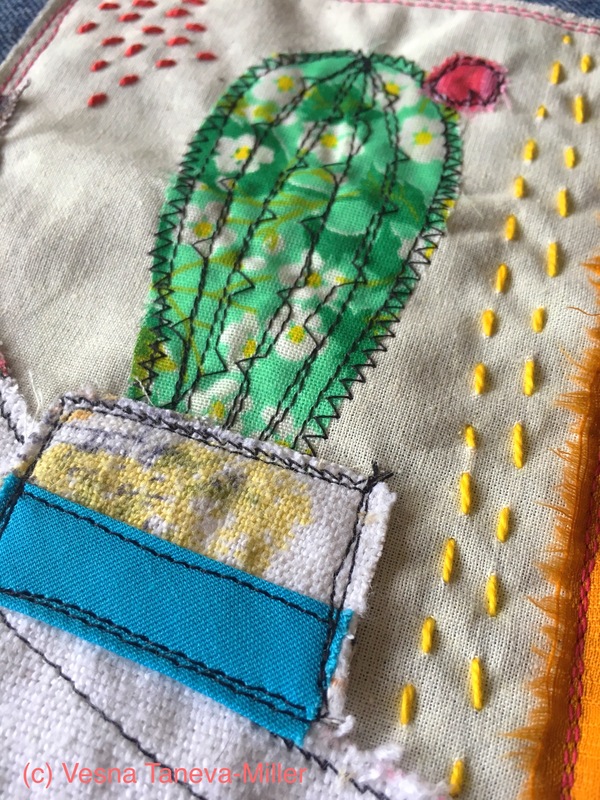 A couple of these are available in my shop for your further decorating and stitching pleasure.